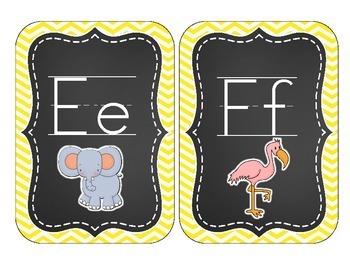 This is a set of alphabet cards made with brightly colored chevron and chalkboard backgrounds. 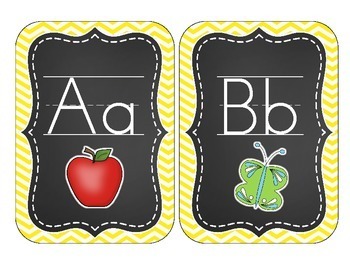 The cards are 5 inches wide and 7 inches tall. 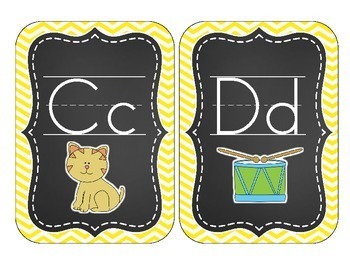 Each letter has two different picture options. 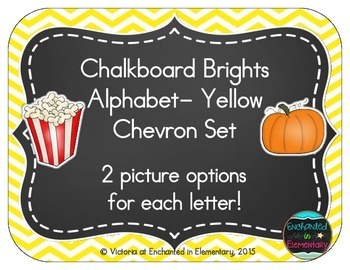 Check out my shop for more chalkboard décor!